We just finished telling you how to upgrade your shower. Now it’s time to talk about the best products to use while you’re in there. A great shower starts with a well-appointed shower stall. These are the upgrades that matter. Let’s start with shampoo and conditioner because... you probably don’t need it. Unless you have specific problems, you can easily get by with infrequent use of both products. Try weening yourself off, and when you do decide you “need” it, Rudy’s has you covered. You should cleanse before you exfoliate, and you should do both before you shave. Like with shampoo and conditioner, you’re probably exfoliating way too much, and using an exfoliant that’s way too harsh. 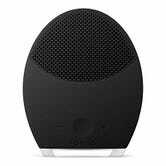 In fact, after incorporating the Foreo into my regimen, I’ve stopped using dedicated exfoliants altogether. My favorite men’s face wash is the Oars + Alps Exfoliating Solid Stick, but you can see all my favorites here, and yours here. My favorite physical exfoliant is Port Products’ Skin Renewing Face Scrub, but we’ll be doing a deeper dive into this category down the road. Note: I was just informed by Jillian you shouldn’t wash your face in the shower at all because the same water you’d use to shower with is way too hot for your face. I’m probably going to continue to shift every possible morning activity to the shower for convenience and out of laziness but, the more you know. 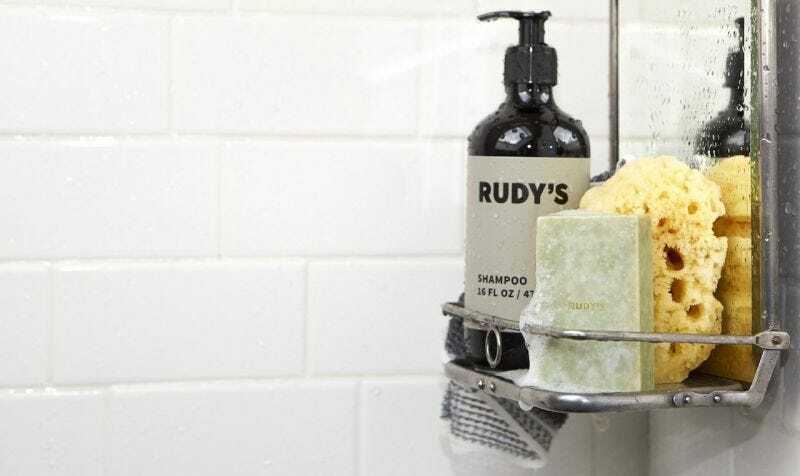 You really don’t need to break the bank on body wash. As with their shampoo and conditioner, Rudy’s 16 oz., $20 bottle of body wash is an amazing product and an amazing value. If you want to treat yourself while you get clean, check out our favorite bar soaps. Hey, while you’re in there, why not brush your teeth? You should shave in the shower to spare your sink the mess, and you should shave last to give the hot water time to soften up your facial hair. Here’s our complete guide.